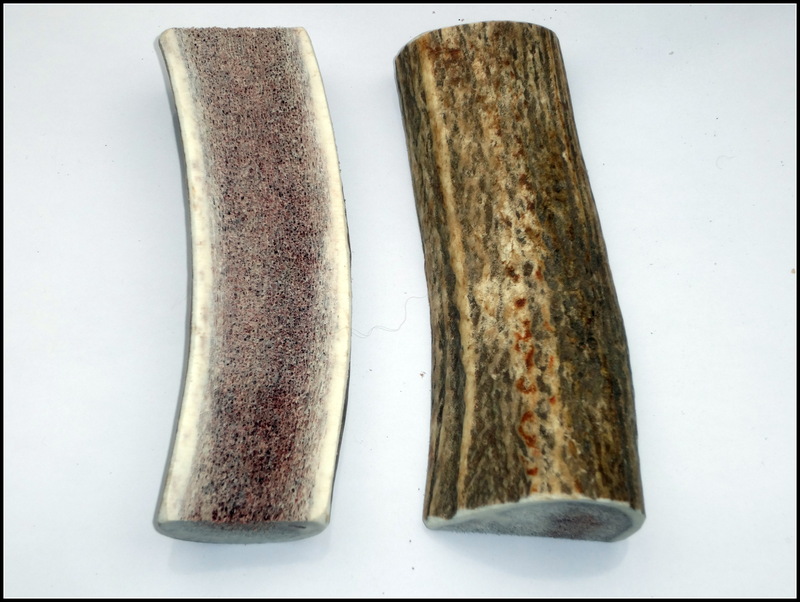 JimHodgesDogTraining Brand – Grade A Premium Quality Elk Antler Dog Chew – ALMOST Large Split Antlers 2-Pack (5+ inches and longer) – Great For Bigger Teething Puppies And Medium to Larger Sized Dogs! – Naturally Shed – Organic – Made in the USA – Safe, Healthy, Long Lasting Thick Treat Alternative To Dog or Puppy Chews, Snacks, Toys or Bones – Antlers Hand Picked for Jim Hodges Dog Training – Satisfaction Guaranteed. These antlers are great for medium sized dogs and smaller, including puppies. You should always supervise your dog or puppy when chewing these antlers or any other hard chew object. Please be aware of imposters trying to sell our antlers. if they do not have the packaging from JimHodgesDogTraining, they are not genuine.